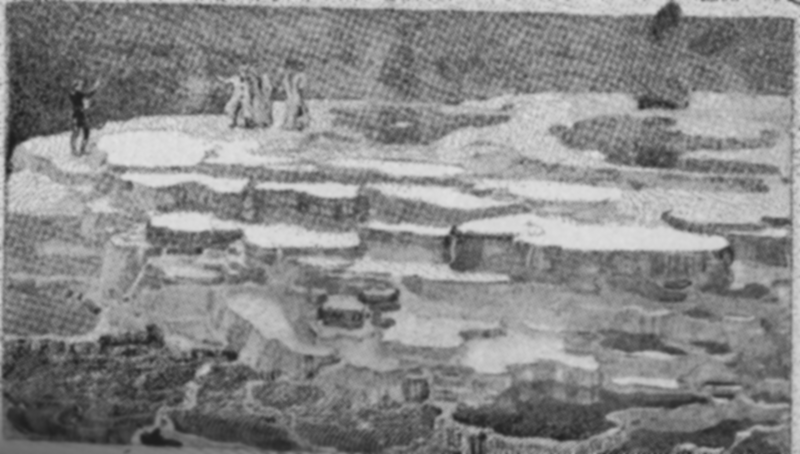 Historical events in Yellowstone National Park, Montana, and Wyoming. We’ll soon be celebrating National Parks Week, April 20-28. But let’s get a head start. 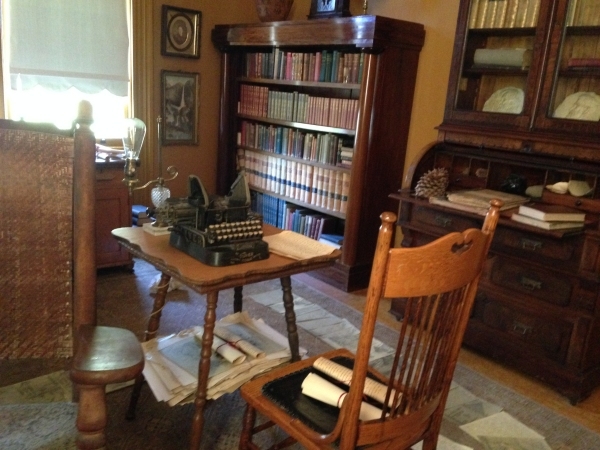 On this day in 1870, park writer Ray Stannard Baker was born in Lansing, Michigan. This Pulitzer Prize–winning journalist is best known for his biography of President Woodrow Wilson, for whom he had been the press secretary. 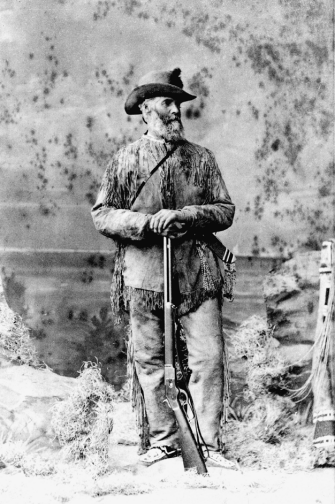 Baker worked for McClure’s Magazine at the time he published his Yellowstone report, excerpted here. Engraving of Ernest L. Blumenschein’s 1903 drawing. Tourists on top of Hymen Terrace, Mammoth Hot Springs. Beyond the Upper Basin one cannot escape a veritable succession of marvels. At the Fountain there are many strange forms of geysers and hot springs, often gorgeous in coloring, surrounded by water-formed rocks in many curious and beautiful designs, and veritable caldrons of bubbling mud, and bears in the garbage-piles, and I know not how many other wonders. At Norris there are growling, jagged holes in the earth, belching forth huge volumes of hot steam, which, having killed and bleached all the verdure of the near mountain-side, has given the whole valley an indescribable air of desolation, as if the forces of nature had gone wrong—the very work of the devil, after whom so many of the marvels are named. Farther along one shudders under the brow of Roaring Mountain, makes a wry face while sipping water from the Apollinaris spring, wonders at the Hoodoo rocks [at Silver Gate], or admires the gorgeous colored pulpits and terraces of the Mammoth Hot Springs. And yet after all these things, amazing as they are, one turns again to the road and the mountains and the trees. Undue emphasis may have been laid upon the odd, spectacular, bizarre—those things, dear to the heart of the American, which are the “biggest,” the “grandest,” the “most wonderful,” the “most beautiful” of their kind in the world. But the Park is far more than a natural hippodrome. The geysers appeal to one’s sense of the mysterious: one treads on the hollow earth not without an agreeable sense of danger, thrills with the volcanic rumblings underneath, waits with tense interest for the geyser, now boiling and bubbling, to hurl its fountain of hot water into the air; one is awed by these strange evidences of a living earth, guesses and conjectures, as the scientists have been doing for centuries, and then, somehow, unaccountably weary of these exhibitions, turns to the solemn, majestic hills, to waterfall and marshy meadow, to the wonderful trail through the forest. For, after all, the charm of the Park is the charm of the deep, untouched wilderness, the joy of the open road. Indeed, the very name Park, associated as it is with smooth lawns and formal, man-guarded tree-groups and stream-courses, seems out of place when applied to these splendid mountain-tops. Here is a space nearly sixty miles square—a third larger than the State of Delaware, and, with its adjoining forest reserves, which are really a part of the public wilderness, nearly as large as Massachusetts or New Jersey. Visitors see only a narrow road-strip of its wonders, though the best; upon vast reaches of mountain and forest, lakes, rivers, geysers, cañons, no man looks once a year; probably many areas have never been seen by human eyes. The United States regular soldiers who guard it keep mostly to the roads, the boundaries of the Park being for the most part so wild and rugged that even poaching hunters could not cross them if they would. And Heaven help that it may never be cared for in that way! Not a park, but a wilderness, full of wild beauty and natural disorder, may we keep the place as nature left it, disturbing no land-slide where it lies, no natural dam of logs and stones heaped here by mountain freshet, no havoc of wind-storm or avalanche. The windfall, with its shaggy spreading roots full of matted earth and stone, rapidly being covered with grass and moss, and the river-bed full of bleached driftwood, each has its own rare quality of picturesqueness, its own fitting place in this wild harmony. There is beauty even in the work of the forest fire, which has left whole mountain-sides of freshly scorched pine foliage, a deep golden red smoldering in the sunshine; and many a blackened bit of forest, longer burned, leaves an impression of somber shadows, of silence and death, which cannot be forgotten. One even comes to begrudge this wilderness its telephone poles, its roads, and the excellent stone embankments which keep them from slipping down the mountainsides into the swift streams below; for they detract from its wild perfection. We may behold nature in its softer and more comely aspects almost anywhere; but every year, with the spread of population in our country, it becomes more difficult to preserve genuine wilderness places where hill and forest and stream have been left exactly as nature made them. Already our indomitable pioneers have driven the wilderness into the very fastnesses of the mountains, so that only remnants now remain. And this great Yellowstone Park remnant has been fortunately set aside by the government for the enjoyment and inspiration of the people forever. CREDIT: “A Place of Marvels: Yellowstone Park as It Now Is,” The Great Northwest Series, The Century Magazine 66, no. 4 (August 1903): 481–91. Reproduced in Chapple, Janet, ed. Through Early Yellowstone: Adventuring by Bicycle, Covered Wagon, Foot, Horseback, and Skis, pp. 215–17. 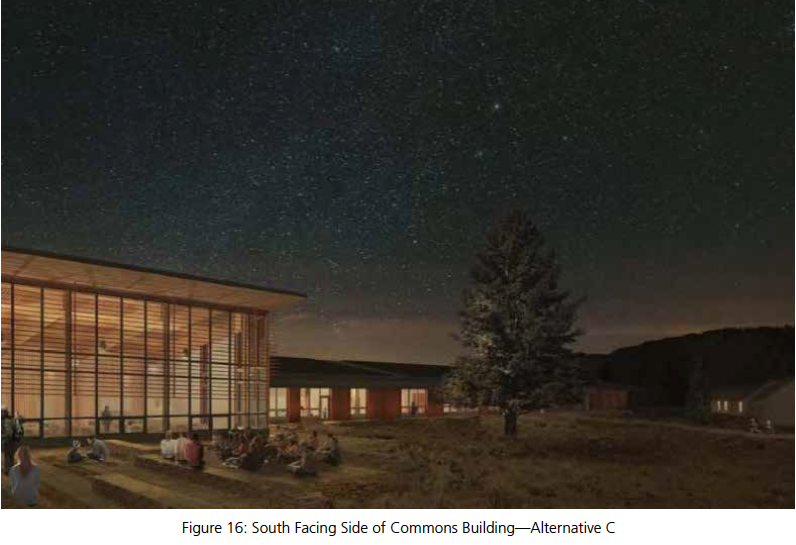 Lake Forest Park, WA: Granite Peak Publications, 2016. Believe us, the engravings of Blumenschein’s illustrations for Baker’s article come out far better in the print version of the book. 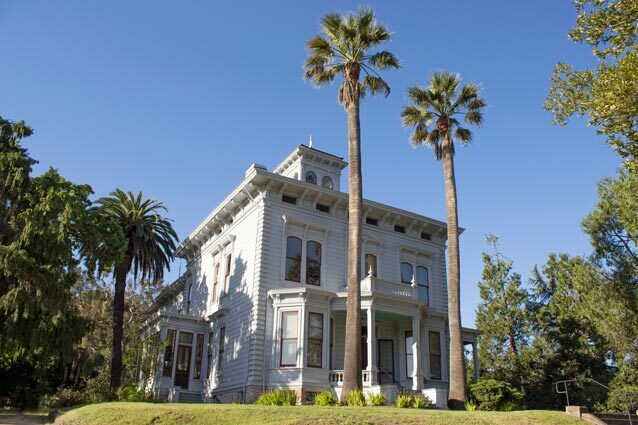 Think of Muir as you celebrate Earth Day this weekend! 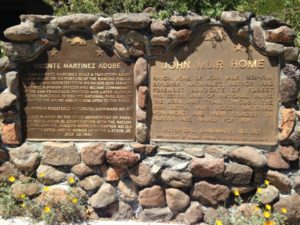 If you are in the Bay Area on Saturday, a John Muir Birthday / Earth Day celebration at the John Muir Home National Historic Site in Martinez, California, this year includes family-friendly activities, music, food for sale, and self-guided tours. Learn more about what you can see on a visit in this “National Park Getaway” article. Photo credits: The exterior of the John Muir house is an NPS photo. All other photos by Beth Chapple. 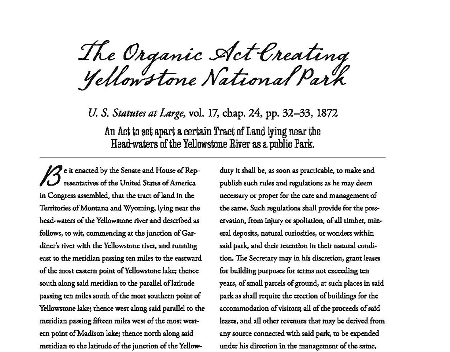 On the first of March in 1872, President Ulysses S. Grant signed the bill setting aside “the tract of land in the Territories of Montana and Wyoming, lying near the head-waters of the Yellowstone river,” creating the nation’s first national park at Yellowstone. 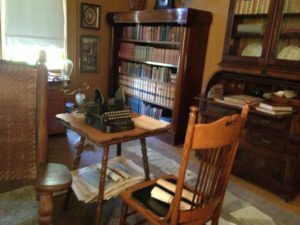 We reproduce the text of that act in our historical anthology, Through Early Yellowstone, to share with other readers what this foresightful law was meant to do. This land was “set apart as a public park or pleasuring-ground for the benefit and enjoyment of the people.” And the act continues to inspire governments to dedicate land for conservation throughout the world—just look at Chile and Peru for recent examples. The month of March in Yellowstone also means that park roads start to close to oversnow travel, in preparation for plowing and reopening in April and May. While the road from the North Entrance (Gardiner) to the Northeast Entrance (Cooke City) is open year-round, today at 9 pm the road from the East Entrance to Lake Butte Overlook (Sylvan Pass) closes to snowcoaches and snowmobiles, and other roads follow throughout the next two weeks. Conditions permitting, there is also a schedule for reopening the roads for motorized traffic. See the Park Roads page at https://www.nps.gov/yell/planyourvisit/parkroads.htm. This period between closing the park roads to oversnow travel and reopening them is a time when cyclists and hikers can travel the roads but car drivers are not allowed. See the National Park Service’s Spring & Fall Bicycling page to learn about the regulations and reminders, since you must still share the road with bears, administrative vehicles, and snow removal equipment. No services are available within the park during the spring shoulder season.